Let’s get some borders on this quilt! 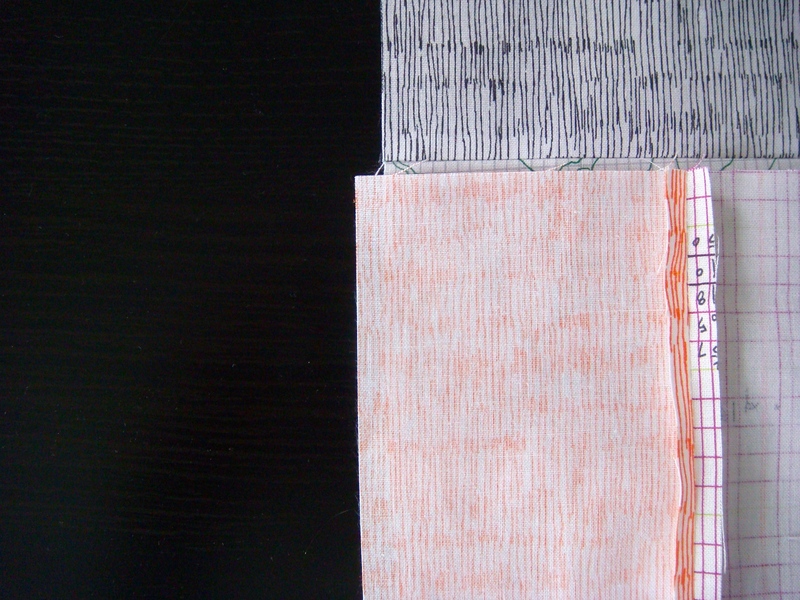 You will need 46 strips, 3 1/4 by 8 1/4 each. (This information can also be found in the assembly chart I gave you in week 1’s post). I used some of the leftover strips from piecing the X, as well as some of the fabrics from my fabric pull that I didn’t get a chance to use in the X.
I highly recommend pinning, as I discussed here. Oops! Mine was about 1/4 inch off. 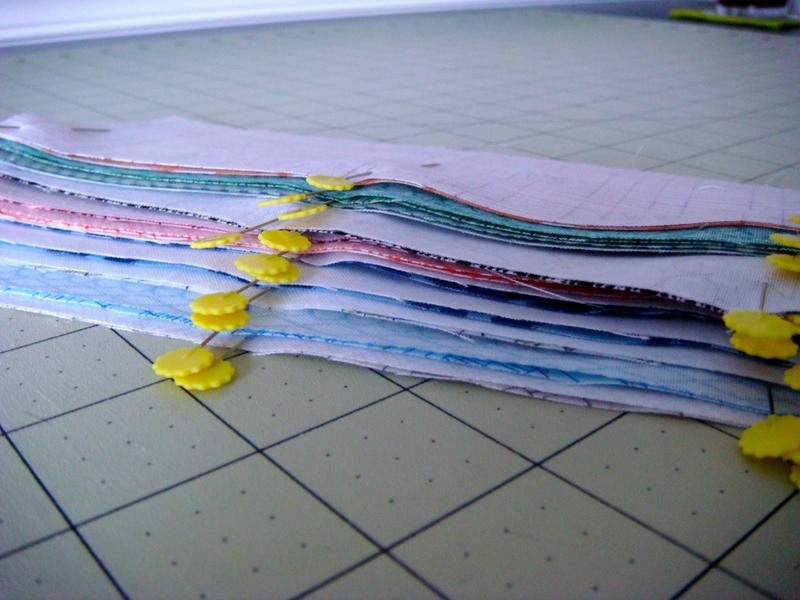 If you sew even a little scant it can add up when there are this many seams in a single row. 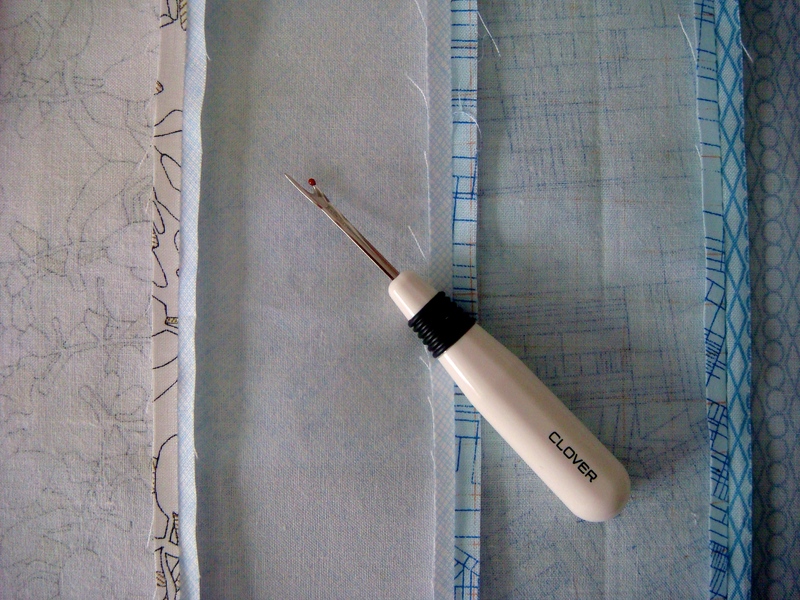 My solution was to choose a strip near the middle, get out my seam ripper, and trim off the amount of the overage. I chose a spot in the middle so my end pieces would still line up with the HSTs at the end of the last strip of the X.
I assure you if you only have to trim 1/4 inch it will not be noticeable. 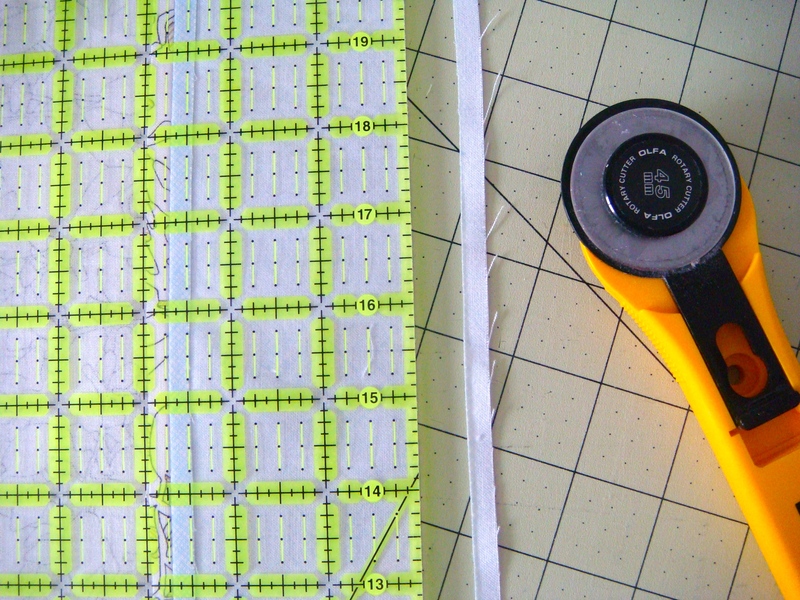 If your overage is more than 1/4 inch, I would take it apart in a couple of places and trim no more than 1/4 inch from as many strips as necessary to make your border fit. Once you’ve assembled and attached your 2 borders, your quilt top is complete! That is one of my favorite moments in the process. 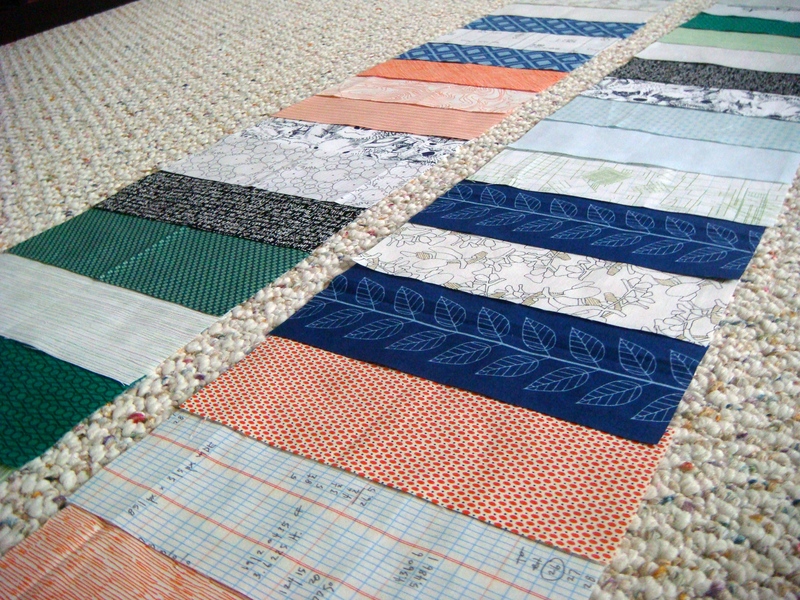 If you have the skillz it’d be really cool to do a different free-motion quilting (FMQ) design in each strip. 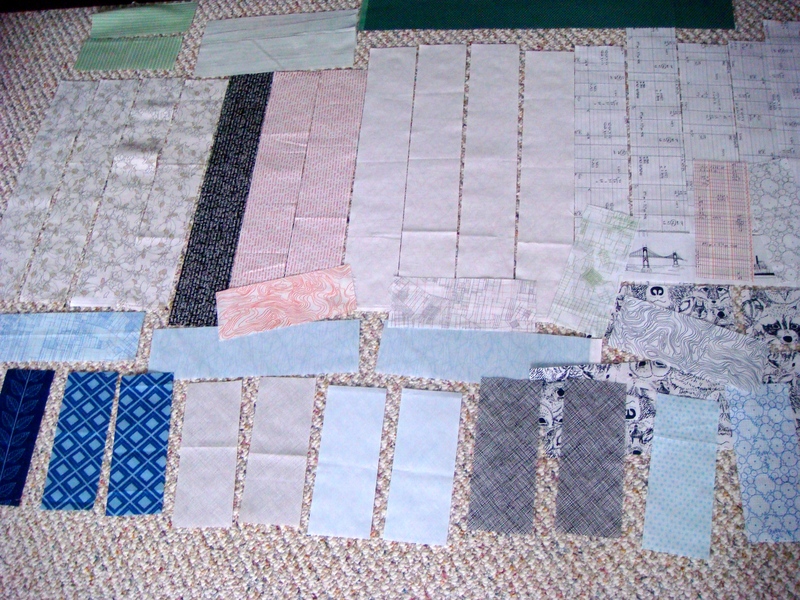 FMQ is definitely high on my to-learn list in 2014. So that’s it you guys! I can’t say thank you enough for quilting along with me for my first quilt along. It’s been such a great experience and it’s truly an honor to think anyone would want to make something from my design! I’ve decided to extend the date for the final link up to March 3. I’ll do another check in link up February 10. I can’t wait to see you guys finish this quilt! 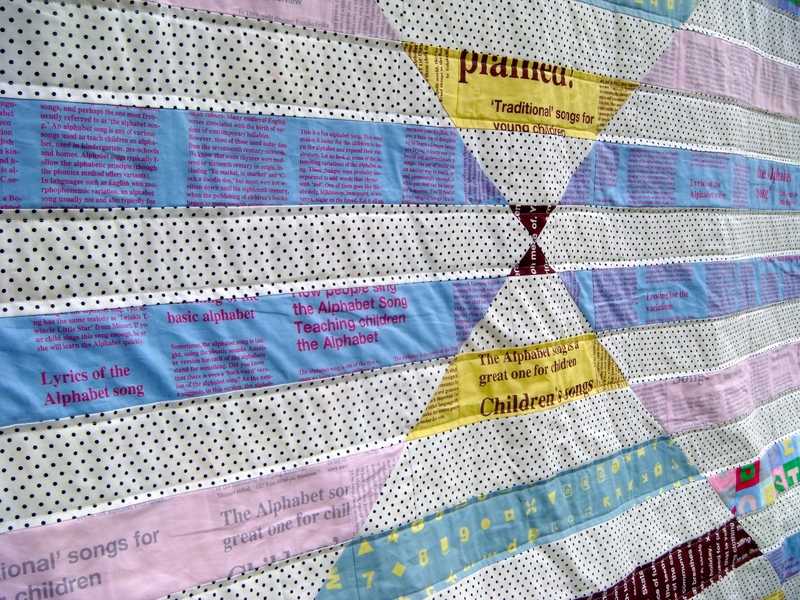 This entry was posted in Barn door quilt-a-long, Uncategorized and tagged Barn door quilt-a-long, borders. Bookmark the permalink. I’ll be revisiting this post often in the next few weeks. So excited to get the top finished. Did you layout your border colors randomly or have some sort of pattern to them? Love this! Botanics just works for everything doesn’t it!